The Hosteller Manali v Manali, Indie: Zarezervujte nyní! 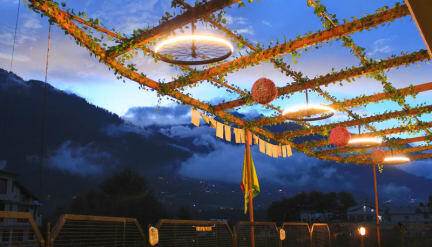 The Hosteller Manali aims to create authentic memories for every traveller looking for a bit more than just a vacation. Manali, a gateway to Spiti and Lahaul, is an idealistic place for adventure seekers, peace lovers, young backpackers or travellers looking to get away from busy city lives. 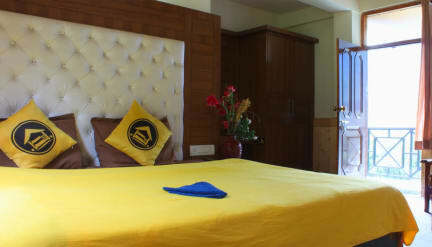 Once inside the hostel, travellers can feel the touch & taste of Manali. Manali hostel supports a multi-cuisine cafe & kitchen, chilling spaces, open porches & balconies to hang loose, library area and an upbeat travel desk. The hostel features 20 dormitories and 5 super comfortable private rooms overlooking tall snowy mountains with mesmerizing views.